Recently I was challenged to deploy our SAPUI5 application extending SAP SuccessFactors (SF) into SCP Cloud Foundry (SCP CF) environment using SF identity provider. And because it took some time and I needed to ask SAP support I decided to sum-up what needs to be done to deploy this kind of extension to CF. At the beginning I would like to appreciate help of Iliyan Velichkov (iliyan.velichkov@sap.com) from SAP, who was able to help me with configuration files. SCP Instance with Cloud Foundry subaccount and application runtime. Trial is OK.
Have the Cloud Foundry command line interface (cf CLI) downloaded and installed. See Download and Install the Cloud Foundry Command Line Interface. This guide is following official SAP Documentation enhanced for detailed examples. To be able to use SAP SF as an identity provider, you have to perform two procedures mentioned in this documentation. 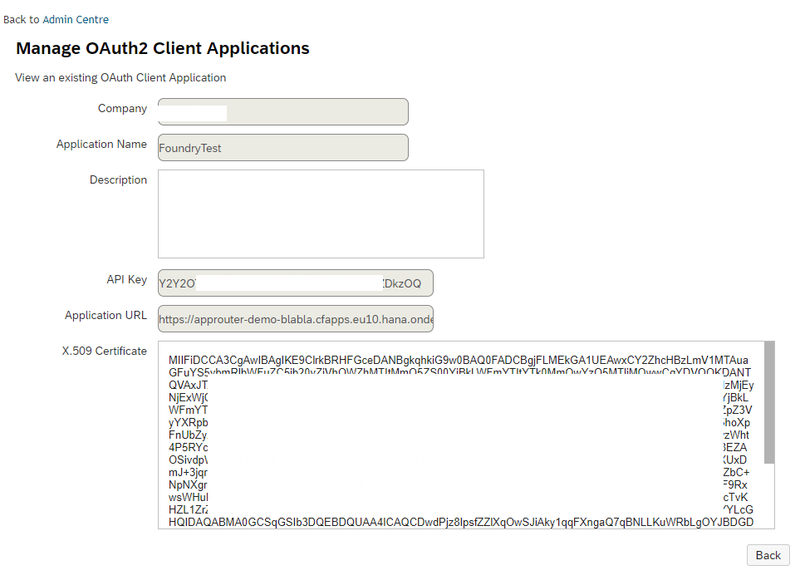 To use OAuth 2.0 for authentication, you will first need to register your OAuth client in the SAP SuccessFactors system, and set up the permissions required for this registration. Then, you can register your OAuth client application. You need your own application router that connects your extension application to the centrally provided user account and authentication (UAA) service. This means that you need to deploy an approuter as part of your application that manages the user authentication for you. And we are DONE. Now you can open the link of your approuter /webbapp and you will be redirected to SF login page. When you log in, you will be redirected to index.html file of your webapp folder. In case of any not-working links or changes in SF or SCP, feel free to contact me – I will update the blog.